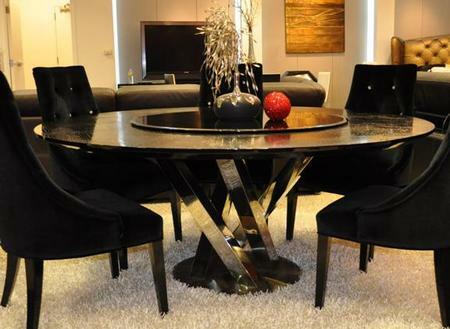 The Nora Dining Table is an exquisite piece that will add luxury to your home. It features black high gloss lacquer crocodile texture top and stainless steel base. 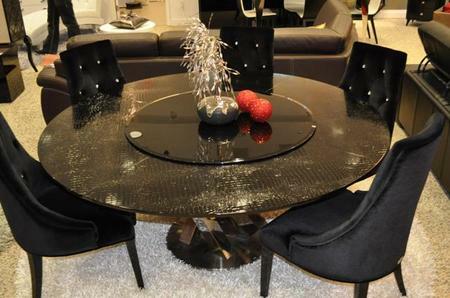 The middle of the table has a lazy susan made of black glass that spins 360 degrees to make your dining experience a pleasurable one. The Nora dining table offers modern style, chic and comfort at the same time.